That’s Bourbon and Oreo. Soon as we have a fence we are going to be adding a ridgeback least that’s the plan. Pete63, flintlock62, OldChap and 1 others like this. Shepperd, Malinois? Forgive my ignorance, but he is a specimen! German bread Long Hair GSD....2yo. Rockymonster, msgt/ret, CDW4ME and 1 others like this. I hated to hear it...My granddaughter called last night around midnight. She was home alone, watching a movie, and one of her rescue cockatiel birds just fell of the perch and died. She has been a good parent to all the critters. The bird, "Sugar", was 16-18 years old according to the vet she works with. Her husband works a big crane in the oil field and won't be home for 2 weeks. We're 800 miles away, so I told her we'd be there for her little funeral for Sugar on video chat on her Ipad. The best part is having great pets. The worst part is losing one. Last edited by OldChap; September 26th, 2018 at 12:53 PM. CDW4ME, Rockymonster, Tstone and 2 others like this. Went to the vet today for surgery. 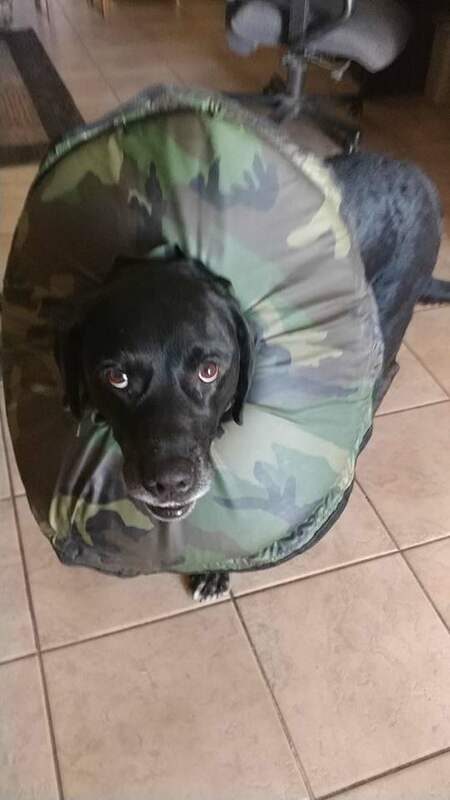 He had to have some fatty tumors removed from a few different spots. He's home but he's not happy....he did eat some chicken but spit out his pain pill....Hopefully he feels a bit better in the morning after some good rest. one of the spots...has one like it on his abdomen and one up on his chest. Pete63, Hawker800, scottync and 3 others like this. He had to go to the vet today. Had to have surgery to remove some fatty tumors. We had them removed to prevent them from maybe turning cancerous. Thank goodness none of them were. Here is one spot on his left shoulder. He has another spot on his abdomen and rear side. msgt/ret, OldChap, Rockymonster and 9 others like this. I read before that the price of a pet is not measured in money, for food or vet bills, rather in tears after they pass. I'd say thats about right. OldChap, Rockymonster, Tstone and 8 others like this. msgt/ret, OldChap and CDW4ME like this. OldChap and Wolf357 like this. JeffreyR, I don't know how you're giving the pain meds but the best luck I've ever had is in a good finger dollop of peanut butter. Get him used to eating the peanut butter first and then add the pill to the next dollop. Another method I know of is to put it in a piece of hot dog. Some old family friends had a Spitz that required daily meds and they fought with her forever until they discovered how much she liked hot dogs. Problem solved. Eventually she'd remind them when they forgot her hot dog every evening. OldChap, scottync, Workaholic and 1 others like this. Yeah..Not my first time with meds. Jake's nose knows..LOL. He's not the typical "eat everything" Lab, like his brother. He likes to take it away, put it down and smell it first. He's picky. You can try and fake him out but almost everytime he can smell it. Each "flavor" only works once if he does eat it. Either that or he eats whatever you put around it and then spits the pill out. Now that he's feeling better it get's a little easier. Still have to put it in his mouth and hold his snout till he swallows it. He will just stand there with you holding his snout closed staring at you and eventually he will swallow it. Pete63, CDW4ME, OldChap and 1 others like this.